but, do you know the attraction of autumn tea? Storing the new time in cool temperature and ferment it slowly (until autumn) to brew a mellow ripening flavor and taste. 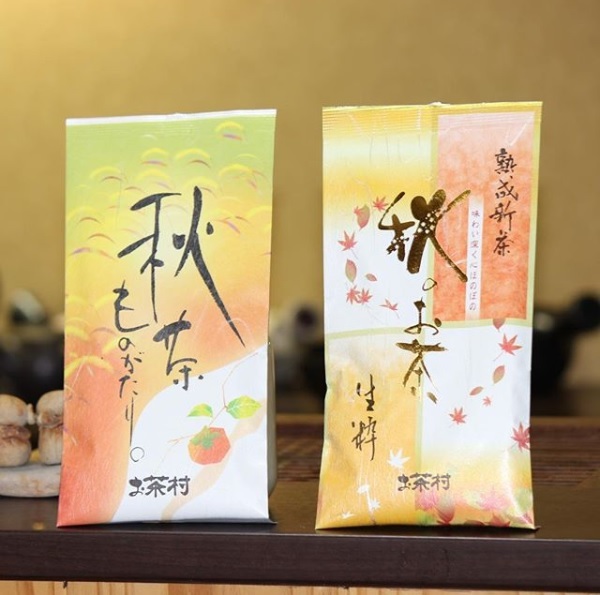 Ochamura well-using the ripening flavor to make two kinds of new products for autumn, the “Kissui”, a deep and rich flavor which is perfect for autumn, and “The story of autumn tea”, roasted on high heat to make a strong flavor and umami (deliciousness). Enjoy the taste of autumn, you must try our teas.